When summer arrives, I always get the itch to make a quilt. Nevermind the fact that I live in Texas and it is sweltering, to say the least. Also, disregard the fact that I have quilts coming out of my ears…what is that saying…you can’t swing a cat without hitting a quilt? (Surely that isn’t the saying, but I think you catch my drift!) So when I am thinking about making a new quilt…I need to have a reason for it, aside from just being functional to keep you warm. 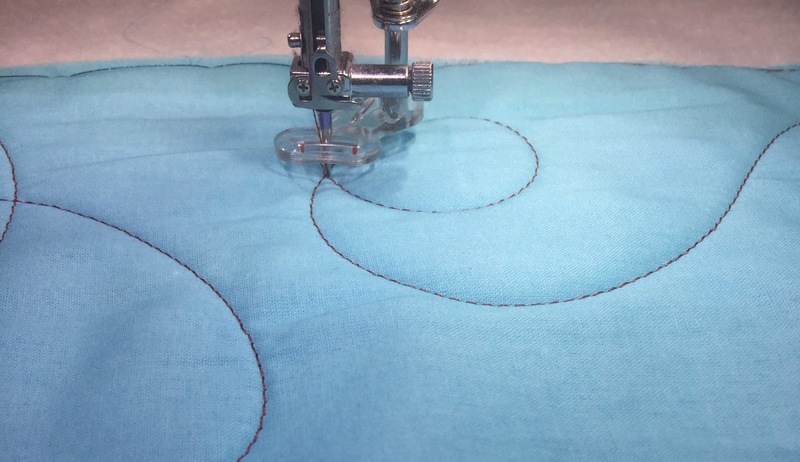 I also love to sew with materials that are a little unexpected. 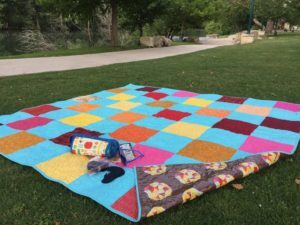 So I teamed up with Janome and American Quilter’s Society to bring you a free tutorial for a great summer picnic quilt. This pattern is great for many reasons. It’s layer cake friendly, which makes it a super quick sew. The blocks are large enough to feature those great prints you’ve been holding on to for a special quilt. The quilt is large enough to accommodate a family picnic at the park. The backing can be made from laminated cotton (or regular quilting cotton, if you choose), so it won’t pick up dirt as easily as standard quilting cotton. You can just as easily throw it in the wash as you can a regular quilt (line dry to be on the safe side). So grab two layer cake packs and your favorite sewing and quilting notions and get ready to sew your socks off! Follow the link to the American Quilter’s Society blog to get started on your picnic quilt. This is a great quilt to fold up and keep in the back of the car for unexpected outings (and if you have a little one in diapers, you can always use the laminated cotton side as a quick changing station on the go!). I quilted this with some large meandering loops on my Janome MC9400, and was done with the quilting in under two hours. This may seem a little redundant, seeing as how I already participated in Erin’s blog hop for SewHome, BUT I had to talk about the really unique Picnic Blanket (Quilt) that I also had the opportunity to work on for the book. 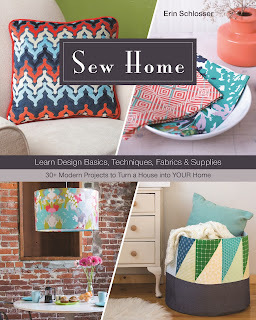 I can’t stop thinking about how unique and practical the projects are in Erin Schlosser’s new book. For real, y’all. 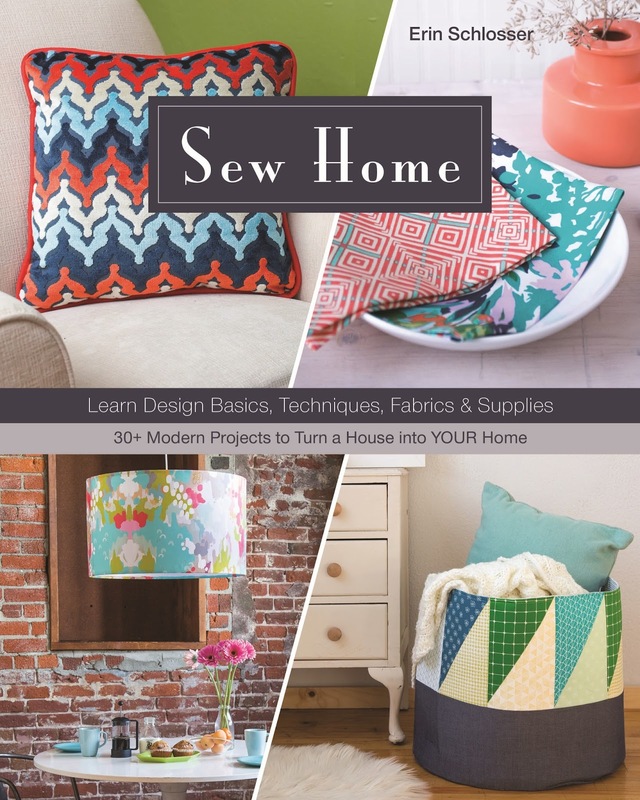 I’ve bought fabric and supplies to make my top 6 favorite projects in the book (who knows when I’ll have time to do it!!!). 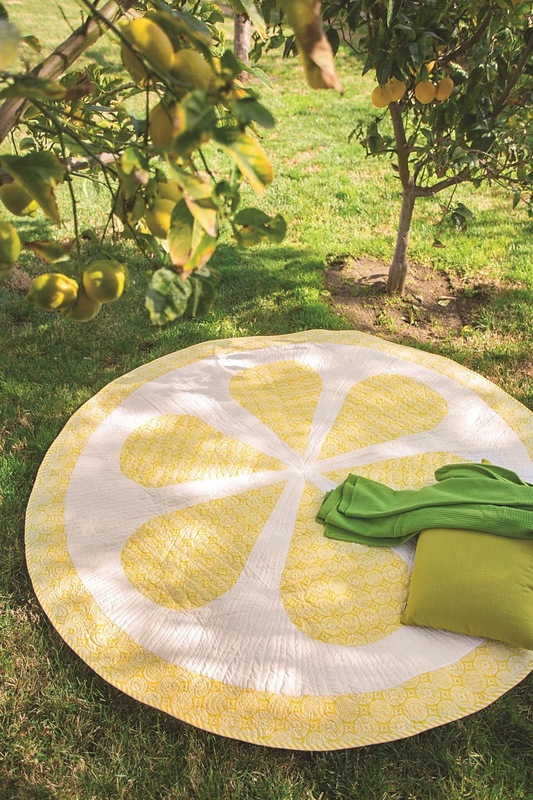 So, this is the Lemon Slice Picnic Blanket, and it is too cool for school! The ingenious part is that the backing is with laminated cotton–so you don’t have to worry about getting grass stains on the back of it. Erin asked me to quilt this for the book, and it was so much fun to do. I just had to share this and, if I’m being honest, don’t be surprised if there are more posts from Erin’s book in the future.